One of CleanTechnica’s street team (that’s you guys, our readers) just spotted a truck full of Tesla Model 3s destined for one of the automaker’s three shops in Vancouver, according to the delivery stickers. The spy shots come from Chinatown, Vancouver. 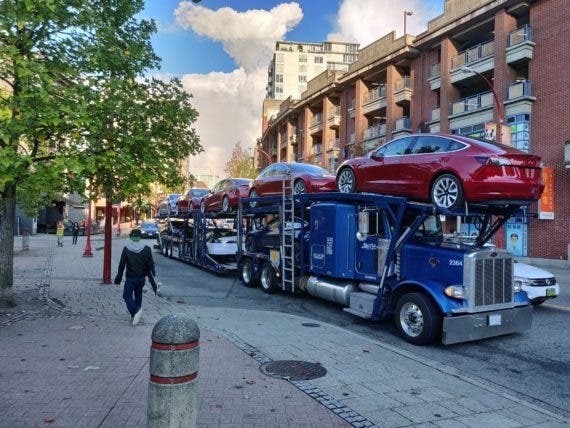 The truckload of Model 3s shows that Tesla is still moving forward with Model 3 deliveries in Canada, contrary to claims that it has stopped delivering to Canada in order to maximize the full federal tax credit for US buyers. The $7,500 US federal tax credit starts to taper off at the end of this year, when it will be cut in half starting January 1st, 2019, and changed to a tax credit of $3,750. Looking farther forward, it will be cut in half again, down to $1,875 starting July 1st, 2019, before it goes away completely at the start of 2020. 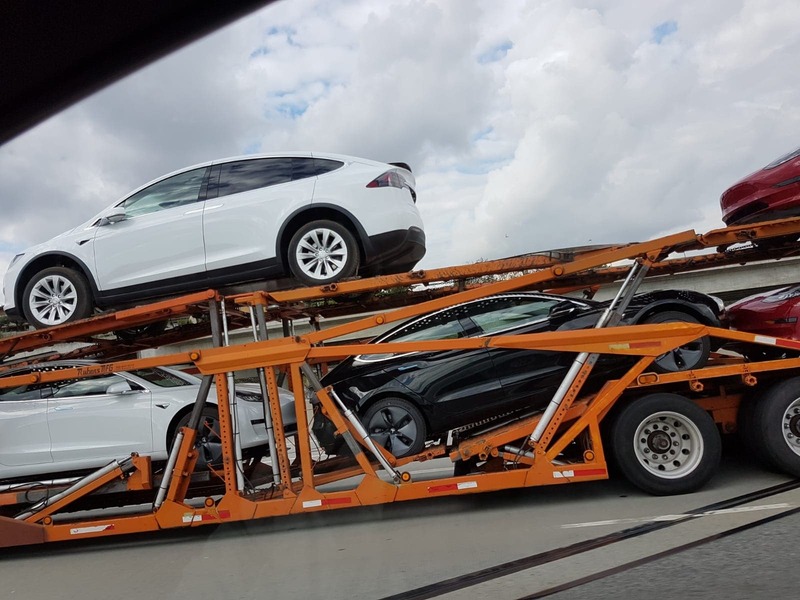 The sighting of the truck full of Model 3s was exciting to Iain, who understandably had not seen one where he lives in the UK. He also shared that he’s been seeing a ton of Model S and X in beautiful Vancouver, British Columbia, showing just how popular the full complement of Teslas are in BC. 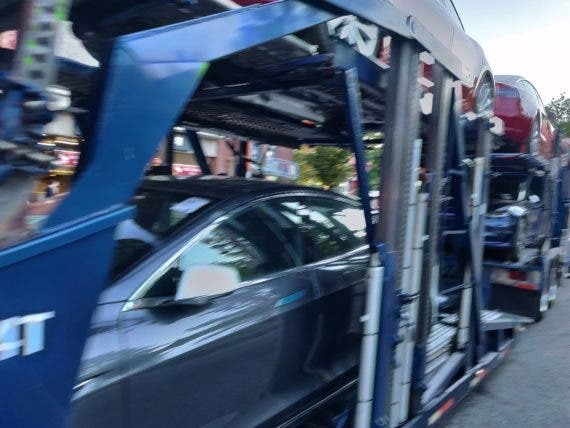 Tesla started delivering Model 3s to Canadian customers back in May as a way of funneling vehicles away from US customers in an attempt to delay the delivery of the 200,000th Tesla until the third quarter of 2018. As soon as the milestone delivery was achieved, Model 3 deliveries to Canadian customers seemingly dried up, with timelines slipping to vague estimates of a number of months, compared to deliveries arriving in a matter of weeks for earlier orders. 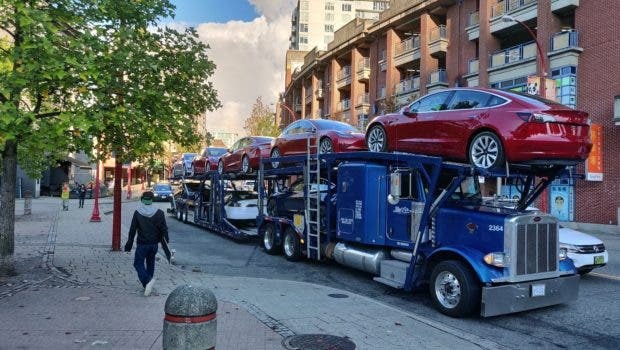 Confirmation that Tesla is still delivering Model 3s to Canadian customers just goes to show that shipments to the north are still happening as Tesla prepares to bring the car to Europe early next year. Tesla is also expected to start producing the “affordable” Standard Range Model 3 in early 2019, but timing for the start of production and deliveries is still a bit fuzzy.